Awfis Space Solutions, a startup providing co-working space, is unfazed by the entry of larger rival—New York-based WeWork—in India. The domestic startup is instead speeding up its growth strategy to stay ahead in the fast expanding co-working space. “Any co-working space beyond 400-500 seats is more of a campus than a co-working space. It loses the community feel,” says Amit Ramani, ‎Founder & CEO at Awfis Space Solutions Private Limited. Awfis operates 34 centres with 12,000 seats spread across 6 metros. Awfis rival WeWork is planning to open about 7 large co-working hubs in the country. The New York-based co-working giant which has raised over USD 7.65 billion has already started a large 2,200 seat coworking space in Bangalore. “We instead have identified a sweet spot of 350-400 seats per centre, where our unit of economics works best and is a good fit to create community clusters,” Ramani adds illustrating Awfis’ strategy. Awfis has maintained a model of setting up co-working centres within 3-5 km driving distance, “because we understand local problems. Our competition is rather with the traditional corporate worker,” Ramani added. WeWork is not the only competition that Awfis faces. The startup competes against a host of other co-working space providers such as GoWork, 91springboard, Innov8, CoWork India, and BHIVE, among others. Ramani, formerly an architect specialising in workplace strategy and design, launched Awfis in India in 2015. The company counts Radha Kapoor, daughter of Rana Kapoor, MD and CEO of Yes Bank as director and stakeholder. Radha Kapoor, along with Ramani had pooled in USD 10 million in seed funding for Awfis. Awfis, which ultimately aims to make space rentals cost-free, is betting heavily on value-added services to differentiate itself in the midst of heightened competition. The company has several tie-ups with service providers for laundry pick-up and drop, cab booking, crèches, courier, and other hyperlocal concierge services. Besides over 120 such alliances, Awfis is also focusing on providing other ancillary services such as special restaurant discounts, cloud infrastructure, convenience programs to help users joggle between centres, reward schemes, and so on. The startup has also built Awfis virtual assistant – AVA for collaborative services. Currently, value-added services account for 12-13 percent of the topline of the company. Ramani expects this share to double by the end of 2018. Rival WeWork is also following a similar approach. Apart from providing a functional working space, WeWork founded in 2010, also allows its members to connect with other entrepreneurs across all its centres. The company claims that over 1,00,000 members collaborate in-person and digitally through an app that lets members connect and work virtually with other members around the world. WeWork’s Bangalore facility can cater to over 2,200 people, with ancillary amenities such as a swimming pool, a gym, access to healthcare, payment processing, IT support, payroll and legal, education and training. Awfis last raised a fresh round of funding of USD 20 million in April this year from one of the leading investment firms – Sequoia Capital India, to fund its expansion plans. Flush with funds, the startup is now looking at entering the micro markets in tier 2 and 3 towns while WeWork is still filling up its first 2,200 seat centre in Bangalore. “We have mapped 34 micro markets till now. We want to go to 60 more,” Ramani said. The company is considering markets such as Ahmedabad, Pune, and Patna, among others. He hopes to increase the count of seats to 25,000 by the end of this year, and increase the number of members to 50,000 by 2020, on the back of this expansion. In comparison, WeWork doubled its membership with over 80,000 members utilising the space, community, and services, in 2016. The company is adding about 10-15 locations per month, and today has 149 physical locations, offices in 188 locations, across 45 different cities. Within few months of WeWork’s entry in India, the company is already in expansion mode with two more centres coming up in Bangalore, in addition to a center already operational in Mumbai. According to a research report by real estate consultancy firm Colliers International on India’s co-working space market, more than 1.2 million sq. ft. were leased by co-working companies in 2016, accounting for 3 percent of the overall leasing volume. The report estimates that by 2020, these companies will increase the leasing space to about 8 to 9 million sq. ft.
With competition heating up in the co-working space, investors too are betting their investments on the sector. Besides Awfis, The Office Pass recently raised USD 245,000 in seed investment from a group of individual investors. Innov8 in February raised angel funding from Venture Catalysts and other individual investors. Growing at a rate of 40-50 percent, the investor activity in this space is about to treble. 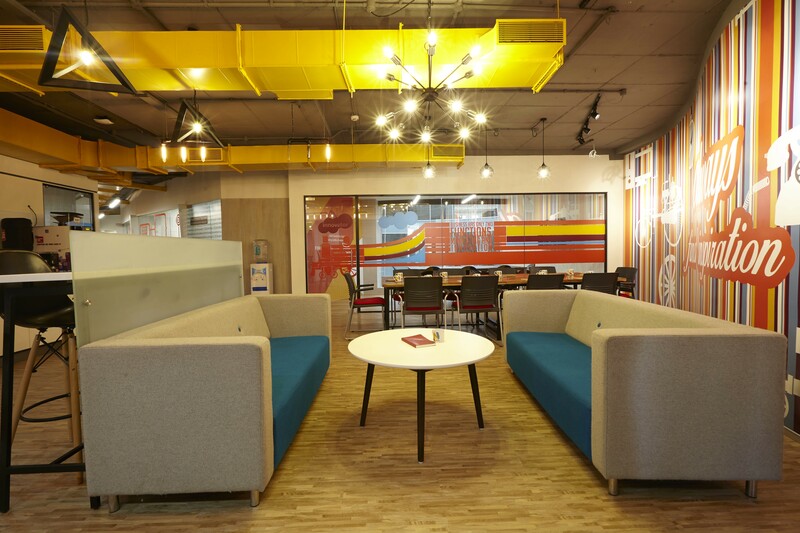 According to a study conducted by another real estate consultancy JLL, the co-working industry in India is expected to receive USD 400 million in investments by 2018.